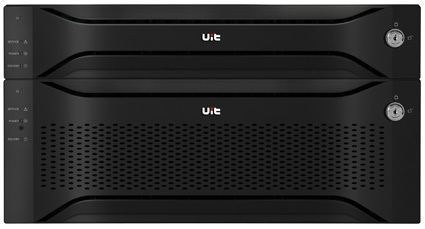 United Information Technology (UIT) is an innovative storage solutions provider which in its relatively brief existence has already succeeded in capturing sizable market share in the storage industry. We are confident of sustaining this trajectory if we continue to deliver innovative and high-quality solutions that address our customers needs. To do this, we realize that we must continually increase our investment in R&D and recruit the best people. Our people are our greatest asset. We recruit the best, provide them with the best individual and team training, promote the freest possible exchange of ideas, give them space to innovate and challenge them so as to bring out their full potential. The result: our valued customers receive the most innovative, highest quality products and services. The very volatility and competitiveness of the IT industry can help create a wealth of opportunities for companies ready to transform business potential into customer value. We at UIT believe that the future has much to offer if we continue to innovate and lead. When all is said and done, our customers are why we are here. We are always looking for new ways to better serve you through every stage of the sales process - before, during and after. Our priority is to offer solutions that assist you with the ever more complex task of effectively competing in today's market.